Most of you may have learned that the earth is not flat. Which is too bad, really. If it was flat, we’d just place PV panels all over it and call it a day. Our Mounting Guide would certainly be a lot less interesting. But no, of course it isn’t flat. It’s not even round, really. It’s hilly and bumpy and slanted and hard and soft. It’s also full of wind and falling water and ice. And sometimes, when the gods are bored, the ground literally quakes. 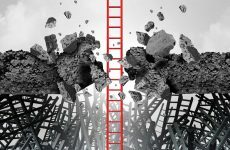 And that’s just on one site. 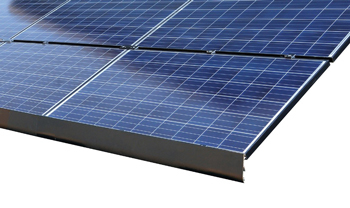 RT- [E] Mount is a compact, versatile rail-less PV mounting system. Simply attach the RT-[E] Mount to the rafters or anywhere else on roof decking. 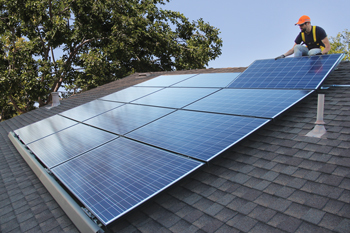 Once the panels are fastened, the system array is electrically bonded. RT-[E] Mount comes complete with RT Butyl flashing, renowned for its watertight performance and durability. PE stamped certification letters available: UL 2703, ICC ESR-3575, ASTM 2140, Fully Waterproof. 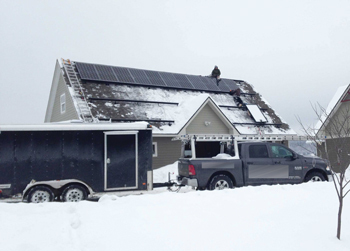 Spice Solar has developed a complete system that reduces parts and rooftop installation time on all roof types and all wind/snow zones. No more racking, mid and end clamps, transporting 20-ft rails, sawing, splicing and grounding — not to mention all the purchasing, inventory and logistics hassles that go along with this blizzard of rooftop parts. 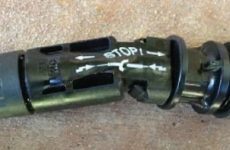 SolarRoofHook’s All Tile Adjustable Roof Hook is the leading mounting hardware for clay and concrete tile roofs in the industry. It is designed to work with a variety of tile sizes and types, including both flat and Spanish tile roofs. This hook has three points of adjustability and is compatible with all major racking manufacturers, accepting 5/16 in. or 3/8 in. bolts. 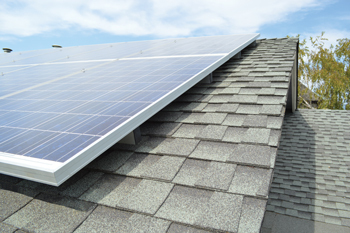 With the top-down leveling of EcoFasten Solar’s rail-free Rock-It System, the installer can level as they go or after the install. 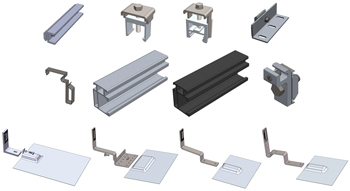 Also, the extensive EcoFasten line of patented watertight solar roof mounts is comprised of a series of product systems characterized by roof-type application. 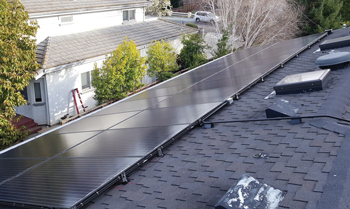 Each system can be paired with a wide variety of brackets, allowing installers to attach EcoFasten Solar roof mounts to virtually any racking option. RELATED: Do you need a solar snow management system? CertainTeed’s Solstice System features high-efficiency, 60-cell monocrystalline or polycrystalline photovoltaic panels with power outputs from 260 W to 285 W. The rack-mounted modules are available in a variety of black and white frame and backsheet combinations. 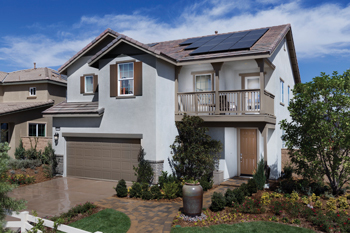 Solstice is also backed by CertainTeed’s equipment, power output and installation workmanship warranty — one of the most comprehensive in the industry. 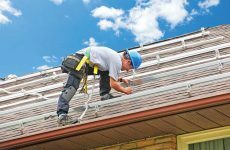 The Magerack Solar Mounting System is a turn-key solar mounting solution that includes all components from the rail and clamps to roof attachments. The system is UL 2703 listed and has a Class A file rating with integrated bonding and grounding. In particular, its patented L-foot with flashing is easy to install and absolutely waterproof at a competitive price. Magerack will also have innovative rail-less mounting system available this year. The SnapNrack Series 100 Roof Mount System is engineered to optimize material use, labor resources and aesthetic appeal. The system boasts pre-assembled, stainless steel “Snap-In” hardware, watertight flash attachments and installs with a single tool. 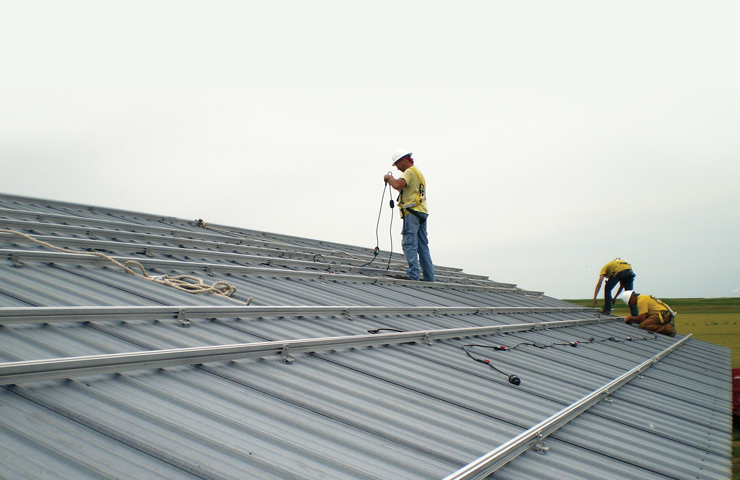 It is fully integrated with built-in wire management solutions for all roof types, one-size-fits-all features and can withstand extreme environmental conditions. It is listed to UL Standard 2703 for Grounding/Bonding, Fire Classification and Mechanical Loading. 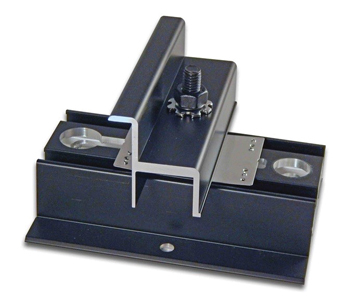 Solar SpeedRack’s SpeedMount (UL 2703, 1703 and 467) is a shared rail system. The black anodized aluminum rails are shipped pre-assembled and are adjustable to fit over 95 percent of the available modules. Its rail strength and spans are industry leading with roof penetrations further reduced by using its SpeedFoot, a non-penetrating load-bearing rail attachment making this system an ideal solution for high wind and/or snow loads. Through use of its calculator, available free of charge on its website, customers can design their project in portrait, landscape or a combination of both and produce an accurate bill of materials for the racking required. Quick Mount PV’s patented mounting system Quick Rack is a simple, cost-effective and elegant rail-free solar mounting system. Featuring QRack technology, the patented system is an integrated roof mount and racking system, engineered to be robust and structurally sound. The system works with standard module frames and comes with state-of-the-art design software. Quick Rack ships in small boxes, saving money on shipping and logistics. With no rails, installation is fast and simple with mounts-to-modules instead of mounts-to-rails-to-modules.